CBS has always been known for delivering dynamic and memorable ad campaigns. With this in mind, we wanted to provide them with the flexibility of dynamically changing content on their mobile ad campaign at a moment's notice. 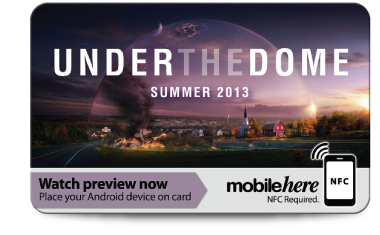 This particular campaign was created to promote a new TV show, "Under The Dome", which is set to air this summer. 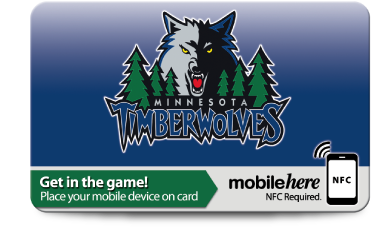 The Minnesota Timberwolves are always looking for new and innovative ways to engage their fans. We were asked by them to help promote a unique mobile experience for their VIP customer base. In this particular campaign, we created an NFC card which would link via their mobile device to special offers and events. ©2013 - 2017 MobileHere Network LLC. All rights reserved.